Creative Law Society Art, Culture & Law. 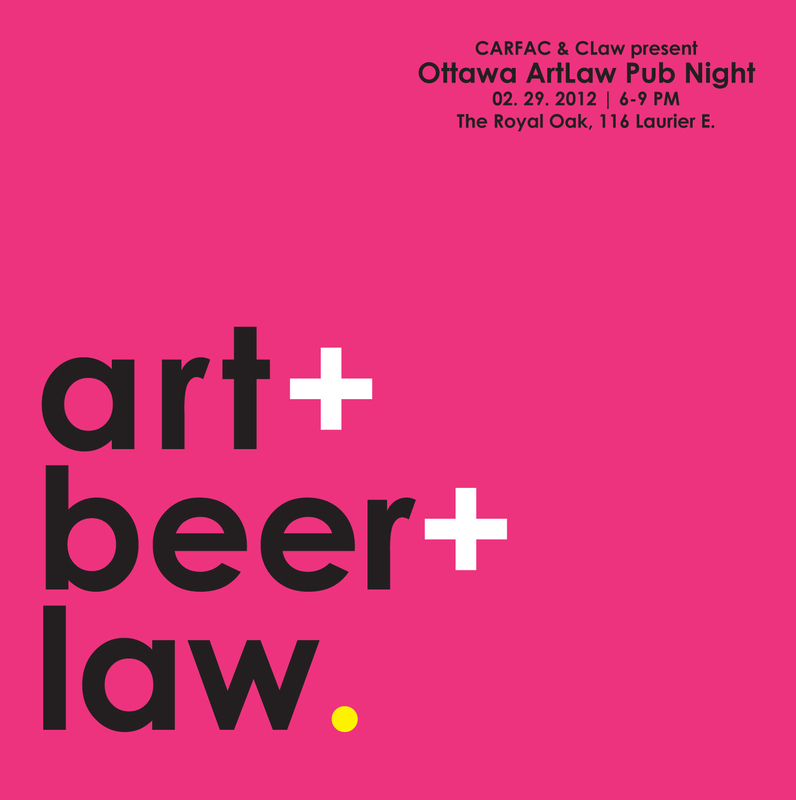 CLaw and CARFAC present Ottawa ArtLaw Pub Night! CLaw and CARFAC (Canadian Artists’ Representation) invite you to join us for a multidisciplinary pint! Step in from the cold and have a drink (or two, or three) with members of Ottawa’s arts and legal community. We will be taking this opportunity to discuss CARFAC’s upcoming Arts Law Conference in June 2012, including ways for students to get involved. Come and mingle with people who share similar interests! Founded in 2011, the Creative Law Society aspires to raise awareness and promote understanding of the intersection between art, cultural production and the law. CLaw is an approved club registered with the University of Ottawa Common Law Student Society.